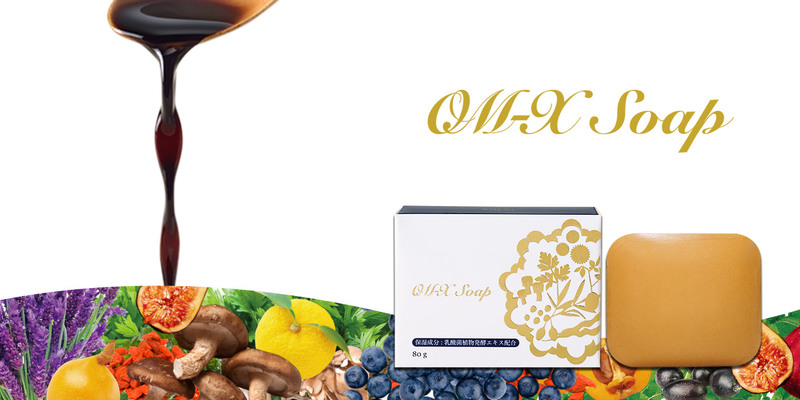 OM-X Soap is infused by the fermented vegetable extract which is made by fermenting dozens of kinds of plants with probiotic strains. 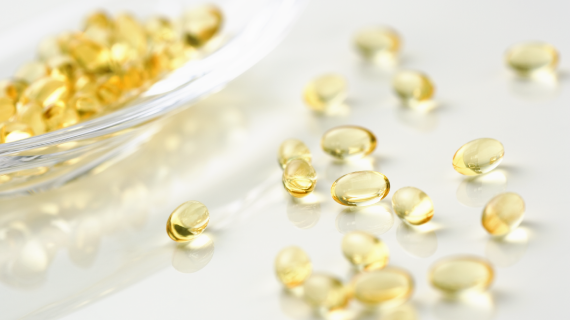 It contains rich nutrients like amino acids, vitamins and minerals which are produced by these strains. In addition, lavender, yuzu (Citrus Junos), Chinese matrimony, Japanese mugwort, shiitake mushroom, loquat leaf, fig, blueberry, maitake mushroom and more plants-originated natural materials are tenderly locked in the soap by cold processing to work as nourishing factors for vibrant healthy-looking skin. 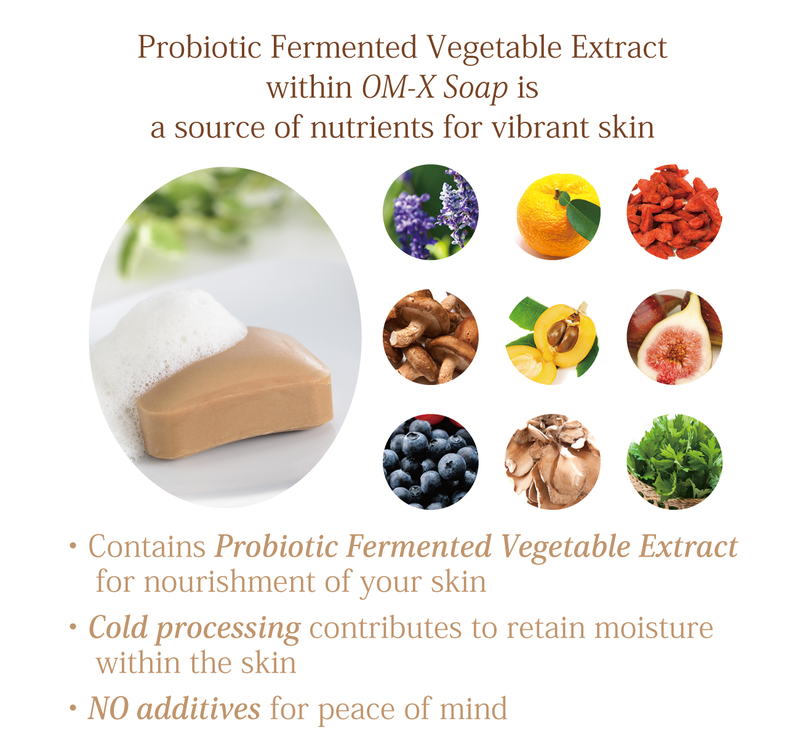 OM-X Soap has the fermented vegetable extract within which is made by fermenting dozens of plants with probiotic strains. Non-heated fermenting process enables probiotic strains to produce rich nutrients such as amino acids, vitamins, and minerals which are contained within the soap. 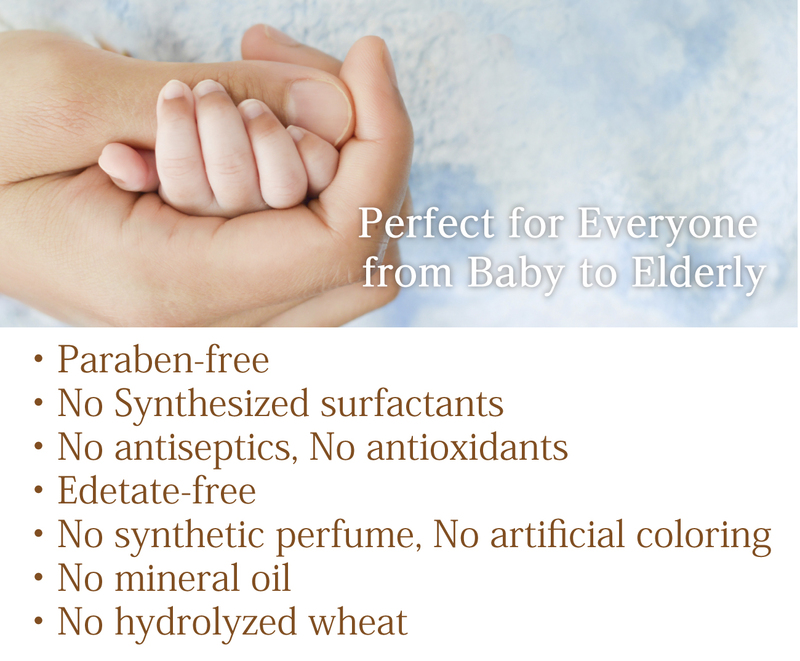 A variety of beneficial ingredients conditions the skin multidirectionally. 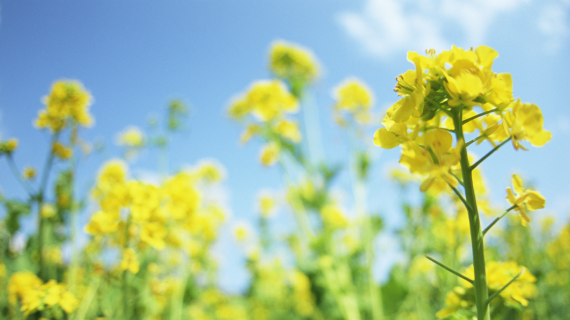 Furthermore, the fermented vegetable extract itself works as a moisturizing ingredient to give the skin good support. Plants-originated natural materials, including lavender, yuzu (Citrus Junos), Chinese matrimony, Japanese mugwort, shiitake mushroom, loquat leaf, fig, blueberry, maitake mushroom and more, work as nourishing factors for vibrant healthy-looking skin. Generally known processes for producing soap are neutralization method and saponification method. Soaps made by neutralization method only contain a small amount of moisturizing ingredients so that some preservatives may need to be added. On the other hand, as a hallmark of soaps made by saponification method, they are abundant in glycerin, a well-known moisturizing ingredient. With cold processing, we induce reaction by putting together palm oil and coconut oil, quality vegetable oils that become the soap basis, and alkali in a kiln, and encourage its maturation and purification to advance. A natural moisturizing factor, vegetable glycerin, arises spontaneously during the process. Saponification methods, especially the cold pressing, artisans carefully induce the reaction at low temperature by hand work, which contributes a large amount of glycerin to remain within. 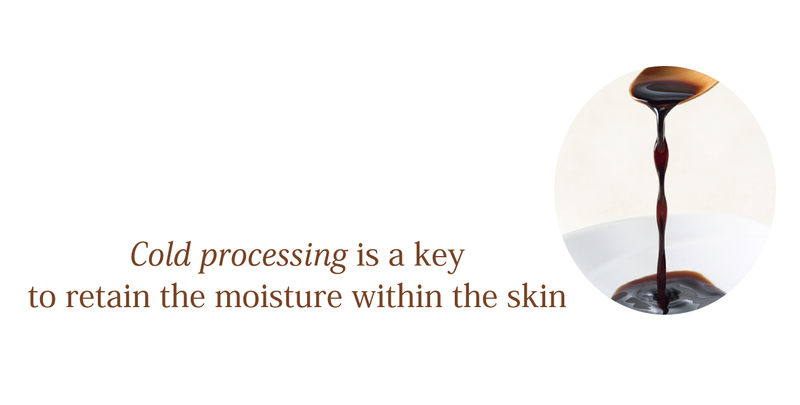 Maturing it carefully and thoroughly at low temperature enables moisturizing factors to merge into the soap. A number of chemicals are often listed on the ingredients label of off-the-shelf soaps. We cut out those chemicals and make our soap with pride-, OM-X soap is additive-free and gentle to the skin which is our priority. It can be used on whole body and safe for sensitive skin, since we choose the most appropriate method and the ingredients to give you peace of mind.